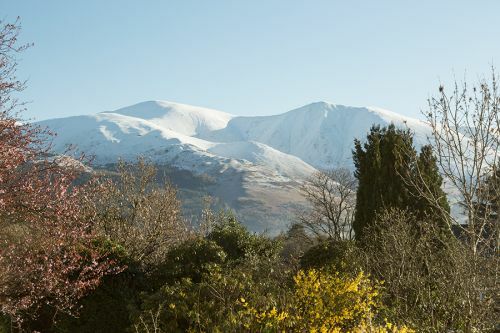 Hermiston Guesthouse is situated in the village of Braithwaite just two miles from the picturesque market town of Keswick in the heart of the North Lakes. 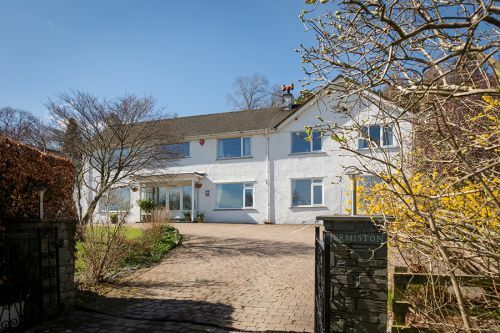 For adults only, Hermiston Guesthouse is ideally situated with stunning lakes and fells on the doorstep, away from the crowds, yet convenient for the town, we have plenty of onsite free parking. With such a wonderful lakeland location, a number of the bedrooms naturally feature great views. 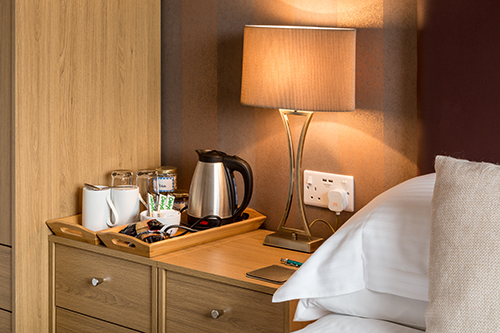 Enjoy the comfort of our rooms; each is en-suite with tea and coffee-making facilities, flat screen TV, USB charging points, and free WiFi as standard. Relax by the log burner and borrow a book from our expanding library, while you enjoy a coffee or glass of wine in the guest lounge, or take tea on the terrace overlooking the garden. Wake up each morning refreshed and relax with fresh tea and coffee in our guest lounge or dining room while the mouth-watering aroma of Cumbrian sausage and bacon invites you to a sumptuous Cumbrian breakfast. Indulge yourself with a full Cumbrian breakfast or take a leisurely browse through our selection of delicious options. All of which are made from scratch, and cooked to order using local produce and suppliers. Plan your day's activities or simply relax and do nothing. Whichever you decide we'll help you to get the most from your stay in the Lake District, to enjoy your time with us and to leave relaxed and refreshed. Our adults only guesthouse B&B provides the perfect place for your Lakeland escape. Take time to relax and enjoy each other’s company in this idyllic, breath taking Keswick fells setting. Take a romantic countryside walk, visit the theatre by the lake, learn to sail or kayak, try climbing, watercolour painting or a photography course: Dust off your old road or mountain bikes, or fetch your riding hat and boots from the shed and enjoy all that the spectacular Lake District has to offer. There’s plenty to do, whatever the weather, so come and join us? 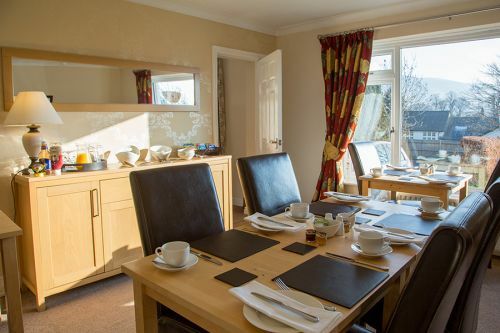 If it’s the perfect group getaway you require, Hermiston Guesthouse B&B is the ideal venue for your family reunion, special birthday or for groups and clubs from walkers, climbers and photographers to artists and crafters.